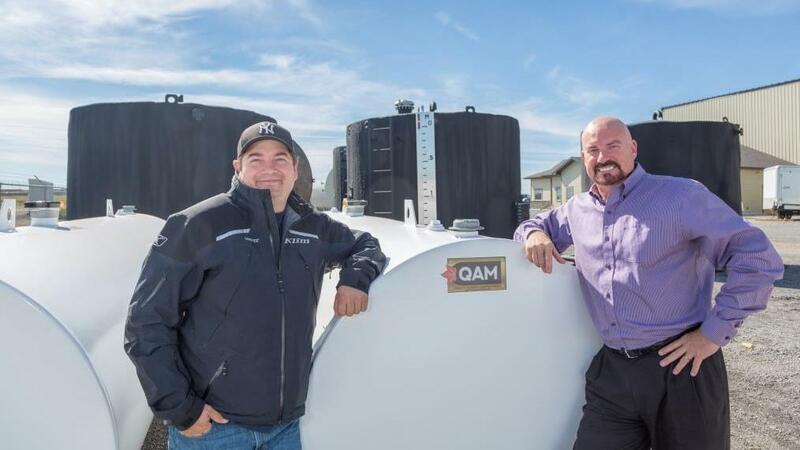 When Quality Assured Manufacturing founders Rod Culbert and Darren Martin decided their growing company needed a new manufacturing facility, they didn’t follow conventional wisdom. Instead, they set off with step counters and stopwatches, painstakingly pacing off distances and timing processes in the vacant lot that would soon become the company’s new home. They wanted their workflow to reflect the exacting quality of the product they produced. “I don’t know how many nights we were out here with stopwatches and step counters,” says Culbert, the company’s CEO and Director of Marketing. “We tried to take everything into account. Where are we going to place the parts bins? How far away is the lunchroom from the work area? We spent a lot of time planning, making sure that work flow and efficiency was at the forefront for the new facility design. In my experience that’s a large part of dividing you from your competitors. We made up about a 75 per cent efficiency rate compared to the efficiency rate we experienced over there [at the previous, leased location], just because we were able to design the building the way we wanted. “It has allowed us to really go after business that we did not go after before,” he adds. Quality Assured manufactures ULC and API tanks and vessels for the gas and oil sector, as well as custom steel fabrication for the mining, waste management, and agricultural sectors. “From the mining side, we’ve done everything from structural platforms and grating systems, to pulverizers, chutes and hoppers” says Culbert. In addition, the company has filled orders to meet the needs of waste management, power stations, construction, chemical processing, and pulp and paper industries. The new facility is open scarcely four years after Culbert and Martin first conceived their plan to launch Quality Assured Manufacturing. They’ve outgrown their first building, a leased space on the other side of Highway 6 from their new location. They started in the middle of the credit crunch, Culbert says, but with the help of Conexus Credit Union to secure an operating line of credit, the company was up and running before the end of 2010. Culbert has lived steel day in and day out for about 25 years, with a strong background in marketing steel and specialty metals, sourcing suppliers, and fabrication. Martin, with about 17 years of industry expertise in production management and product improvement, had been working for one of Culbert’s clients when they first met. They got along well, and four years ago decided to start a new business together. Martin was a natural fit as COO and Director of Production. They doubled their sales and staff within the first two years, then nearly doubled their business again in year three. Now, rounding out year four, Culbert says they are about where they thought their sales would be by year eight. “We are considerably ahead of schedule,” he says. “Both Darren and I have been in the industry long enough that most of the people that we do business with, or have done business with to start the company, we've known very well for many years. That all helped to get us to where we are today,” Culbert says. The company’s biggest markets are currently in Alberta and Saskatchewan, with sales extending into B.C. and Manitoba, and a plan to export into the United States. They employ about 25 employees, mostly tradespeople such as welders. As the company settles into its new headquarters on Inland Drive, it plans to add technical and professional workers, including computer aided design specialists. Saskatchewan’s boom makes it hard to find people, too, Culbert notes. But the company is careful to manage its growth and match its hiring accordingly. As a result, they recruit with an eye on retaining the best workers by augmenting competitive wages with a generous benefits plan. “I call it ‘inventive management’,” says Culbert. “We try to make it an enjoyable place to come to work—where everyone here works with us, not for us”.